After its last attendance to Power-Gen Asia in Seoul, Stopson Italiana will fly to Cologne for the 25th Anniversary of the trade show. For all those attending, Stopson Italiana will make available its technical expertise to support any demanding requirements to develop new sound-proofing and noise abatement solutions in the Power Industry. Celebrating 25 years of history, POWER-GEN represents the leading force in delivering a platform for the power industry to meet, share information and discuss about new progress in applied technologies for the growth of energy’s future. Visit us at Power-Gen Europe, Hall 8 – Booth J33! Attracting over 8,300 delegates and attendees from more than 85 countries, Power-Gen Europe represents the industry’s premier conference and exhibition dedicated to the power generation, renewable and alternative energy and transmission and distribution industries. This year marks a new format for POWER-GEN Europe and Renewable Energy World Europe, with the decision to run our popular Keynote and Plenary sessions on the first day as opposed to splitting them over 2 days. The conferences provided will cover Hydropower, Finance and Energy Storage. As a well-established knowledge base for the power industry, the aim of the exhibition will be connecting professionals engaged in Europe’s energy change, identifying opportunities for innovation, and business development across the sectors. 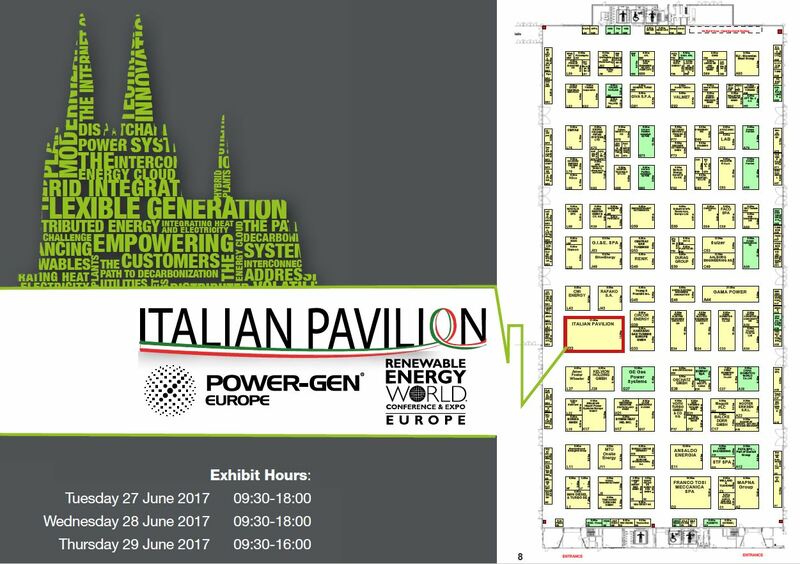 Power-Gen Europe 2017 will take place in Cologne (Germany), June 27-29, and Stopson Italiana will be exhibiting at Hall #8 – Booth J33.